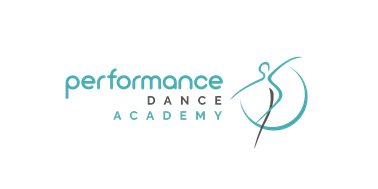 Miss Madison is excited to teach her first year at Performance Dance Academy! She began dancing at the young age of three and still continues to study and master the art of dance. She is a second year Honours Psychology and French student at the University of Guelph with the goal of graduate school for Sports Psychology. Miss Madison is a proud member of the Guelph Dance Pak and encourages Guelph dancers to audition for a memorable university dance experience. A wide variety of training in hip-hop, tap, jazz, ballet, acro, contemporary and musical theatre has allowed Miss Madison to become a versatile competitive dancer - winning countless scholarships, special awards, overall awards and regional titles. Also, completing many Royal Academy of Dance (R.A.D) ballet vocational exams. Miss Madison is known for her showmanship, beaming personality, her drive and ambitious involvement in her dance community. She headed her high school dance team, organized school dance events and chose the dancers who would be on Sinclair Dance Company. In her final years of competitive dancing, Miss Madison has auditioned and/or danced for many renowned choreographers including Luther Brown, Shane Sparks, Everett Smith, Ryan Foley, Danny Davalos, Steve Bolton, to name just a few. She proudly performed in the Opening Ceremony for the 2015 Pan Am Games and she is now a roster for the world famous company Cirque Du Soleil. Miss Madison won a silver medal in 2012 in Riesa, Germany for the IDO -World Tap Dance, and was 6th runner-up in 2013. Miss Madison is “PDA Proud” to be a part of a great teaching staff and wishes the best of luck to everyone for a great 2015-2016 dance season.